Social media marketing is a great way to build up brand authority, expertise in your market niche, and to ultimately build up a community. Even though most “marketers” still say that it is the new frontier in internet marketing, it has been around for quite a while, but only gaining massive attention the last couple of years. If you own a business and you would like to use social media as a medium to get the word out about your services, products, or just to build up credibility, how do you go about doing this? The first rule with any internet marketing strategy is to start with your research and then create a detailed strategy that will consist of all the methods and tools you will be using, a calendar with a timeframe, and all the elements that will be required to make the most of the campaign. The same goes for a dedicated social media campaign. Here are a couple of tips to help you create a social media strategy. Competitors: Find out who your competitors are and see what they are busy doing on the social media sphere. Sometimes it is not that easy to identify what you want to include in your SMM campaign and by looking at your competitors can make this easy. Have a look at what they are doing, their engagement levels and their presence on the selected social media channels that they are using. Objectives and goals: Keep your SMM goals and objectives very simple in the beginning, but be sure to tie them in directly with your overall business objectives. Usually with SMM, the return is not as straight forward as a PPC campaign, and it might take a couple of practice runs before you start seeing results. A good way that I use is to put the goals and objectives in certain categories to start off with. You could have a category for brand awareness, level of engagement, # followers/following, # sales resulted from social media and even visitor traffic that you have received. Claim your profiles: This doesn’t seem important, but it can play a big part in establishing your name on the web. 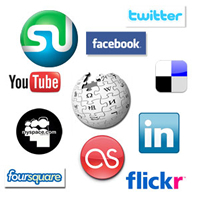 See your social media properties as important as your website domain name. If your business has a unique name, it will be easy to claim your name (profile name) on selected social media channels. If you don’t have a unique name, research and see what names closest match to what your business represents that you can use. Staff: Who will execute your social media strategy? It won’t be robots so you need real people. I’ll be honest, you need direction and influence of more than one person to make your strategy a success. You only need one person to do the physical work such as status updates and blog posts, but a successful social media strategy relies on a group, not one individual carrying all the weight of the plan. This could be a blog post on its own but you cannot execute a good social media campaign without solid ideas, plans, resources, and support. Content theme calendar: It is simple – no content, no social media. No dedicated content growth strategy, no social media strategy. If your campaign doesn’t involve some kind of content or theme calendar, your plan will fall flat on its face. Analysis: How are you going to measure your success with your campaign? Based on your objectives and goals, decide before your start with the campaign what you would like to measure. How are you going to measure it against those objectives and goals? Most social media channels includes some sort of analytics, you will need to explore a few other 3rd party tools to report the success of your campaign. Don’t be fooled in thinking that social media marketing is an easy process. It could be painful for many, but with a proper campaign plan and strategy in place, why will you not succeed?